Rocky Desert of peaks and curves. 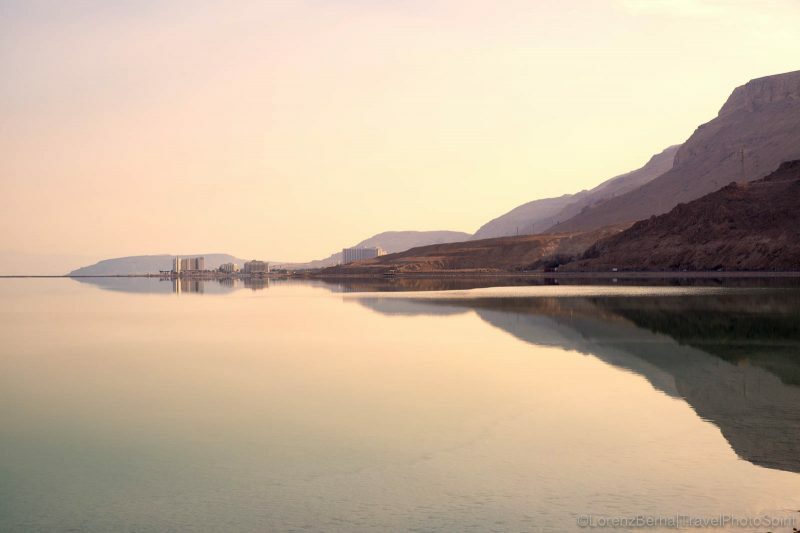 One of the smallest desert of the World, the Judean Desert is yet well known for both geological and historical reasons. 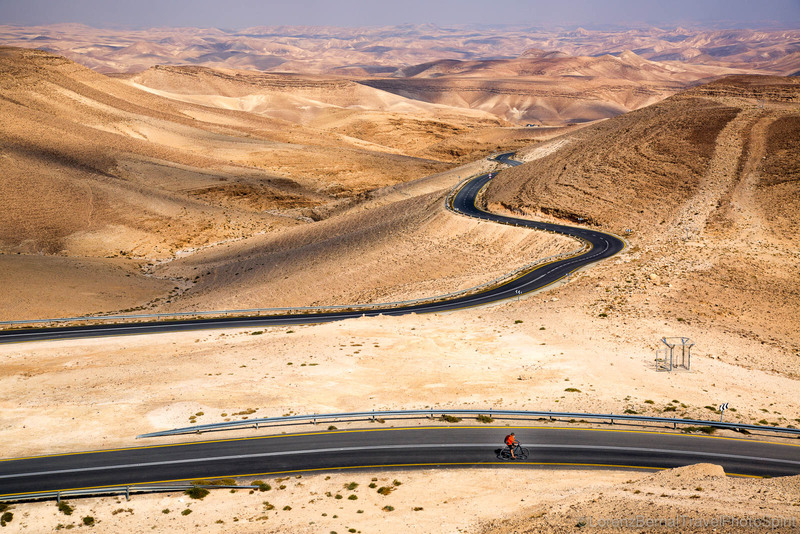 A desert of rocks, winding roads, peaks and curves, stretching along the Dead sea. 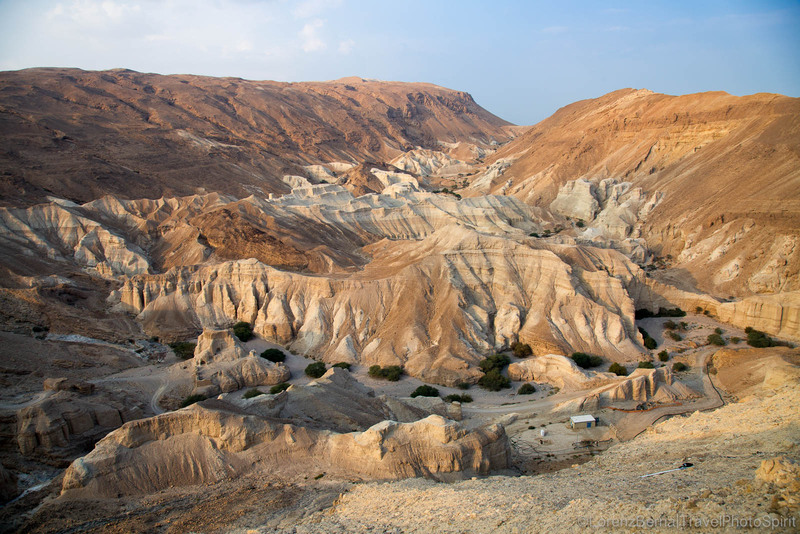 A very scenic desert of canyons, ravines reaching 350m high and wadis, temporary rivers made by the occasional heavy rains and floodings passing by the region. It also has many natural terraces as well as rounded hills which make great opportunities for an interesting Landscape Photography. Since long ago, the region had also been chosen by monks as a singular place of retreat. 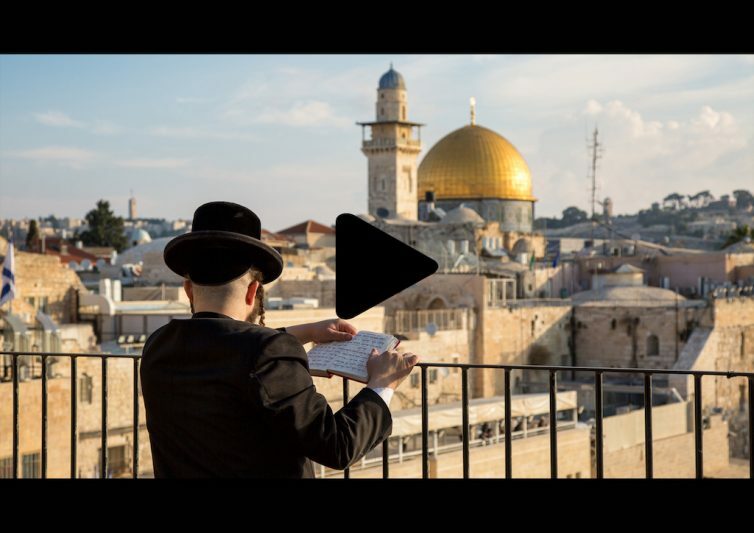 Indeed the Judean Desert host many monasteries still frequented today and among which, some of the most spectacular in the World built on cliffs : St George and Mar Saba. 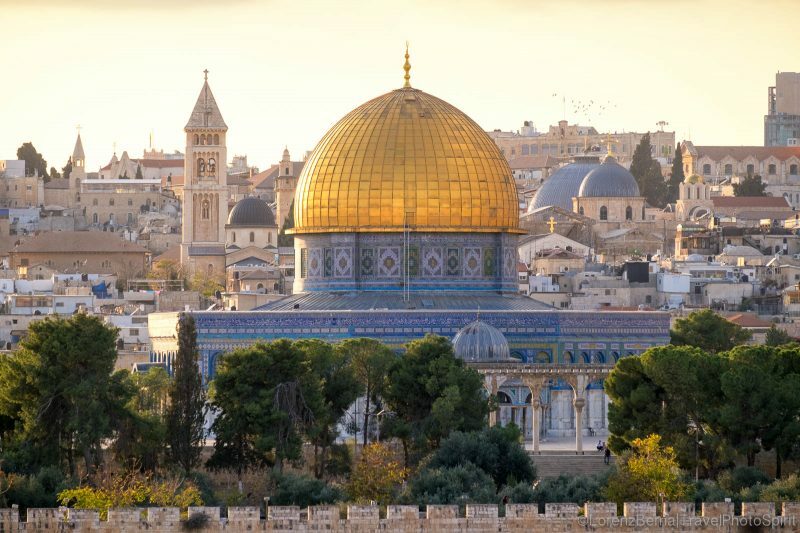 A very suggestive and meditative landscape indeed for either a spiritual immersion, a touristic discovery or an iconic travel Photography destination. 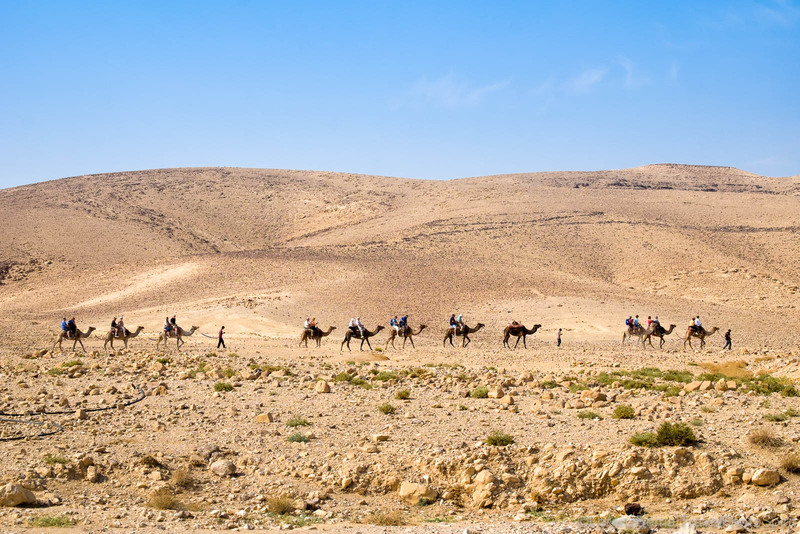 Camel ridings in the desert. 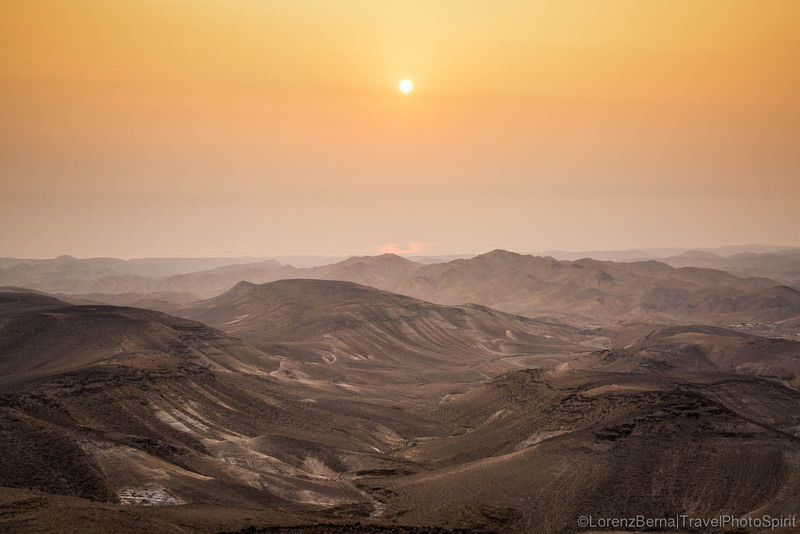 Landscape at dawn in the Judean Desert. The winding roads going through the rocky valleys of peaks and curves are the pleasure of motorbikes and bicycle riders. 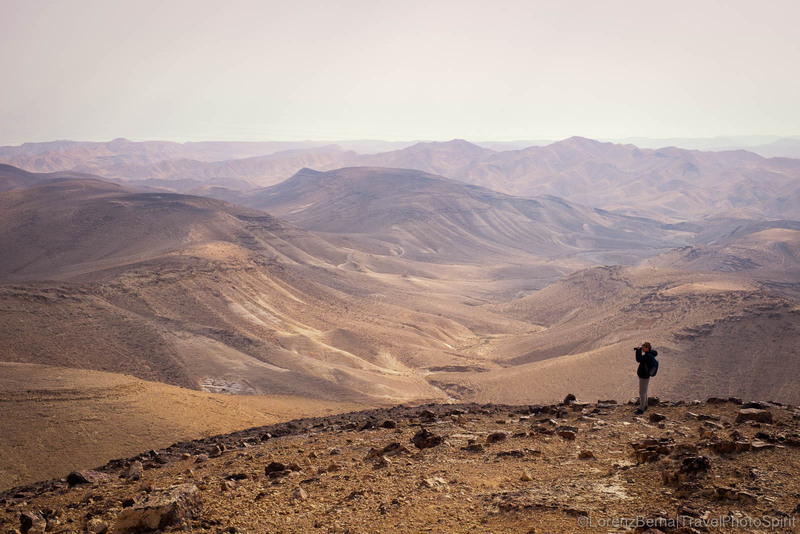 Landscape of the Negev Desert, the Northeastern part of the Judean Desert. The canyons and rocky formations of the Judean Desert, hosting ruins of ancient houses built in the rocks. 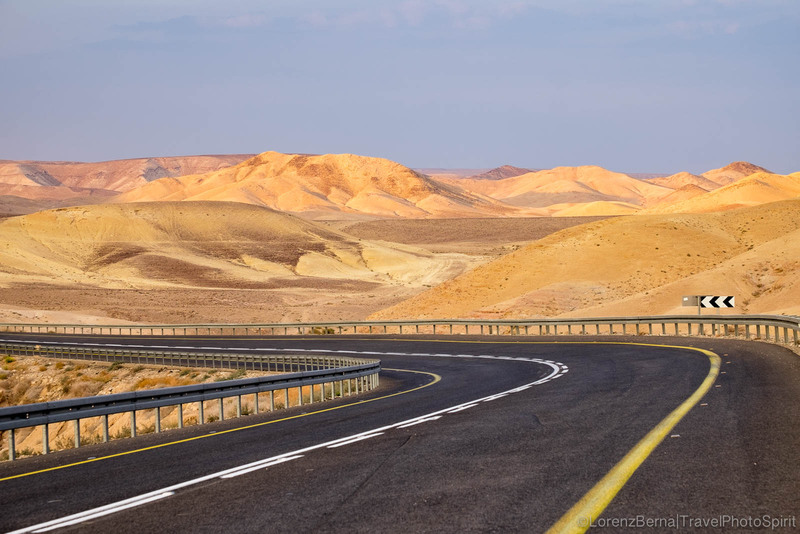 Good and modern roads cross the ancient desert, so driving is mostly safe and enjoyable. 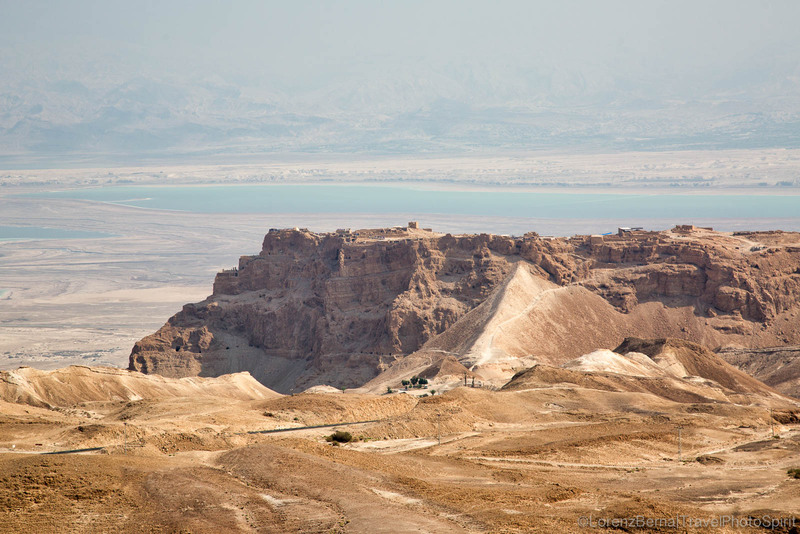 The impressive plateau where the fortress of Masada was built, dominating the whole valley and overlooking the Dead Sea. 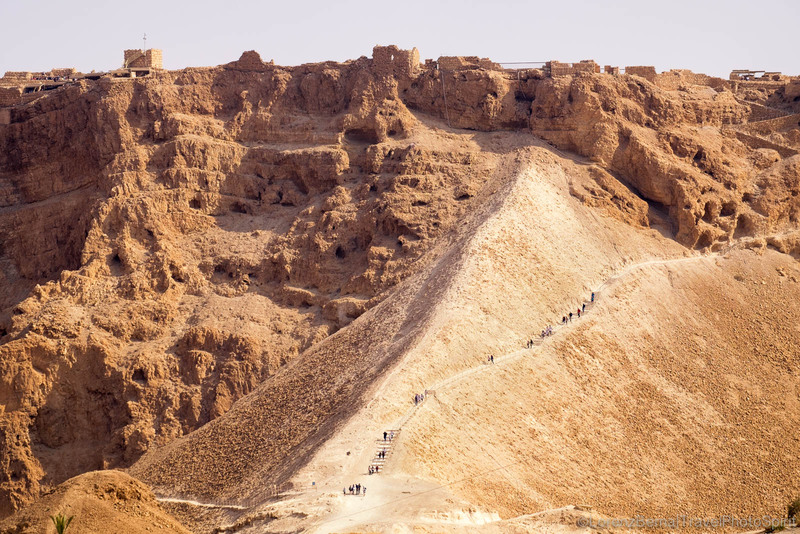 People getting down the rocky slopes of Masada. 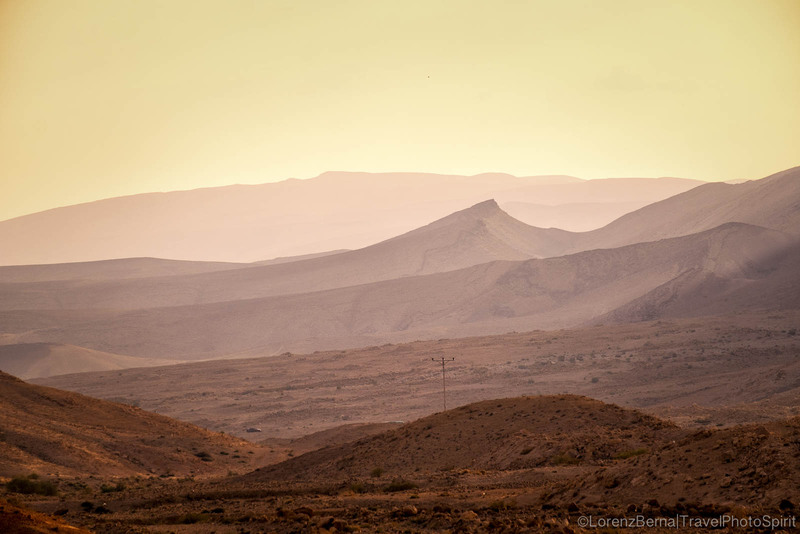 The photogenic layers of the landscape near Arad, early in the morning. 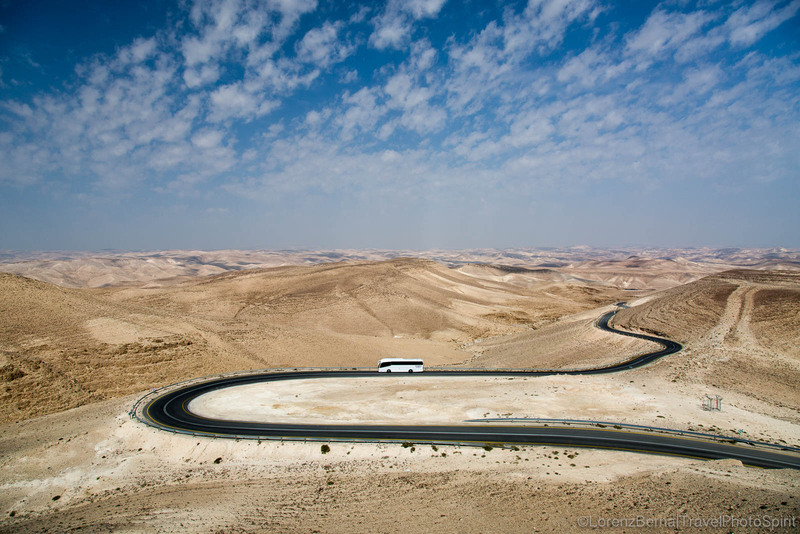 A tourist bus riding the weaving roads of the Judean Desert. 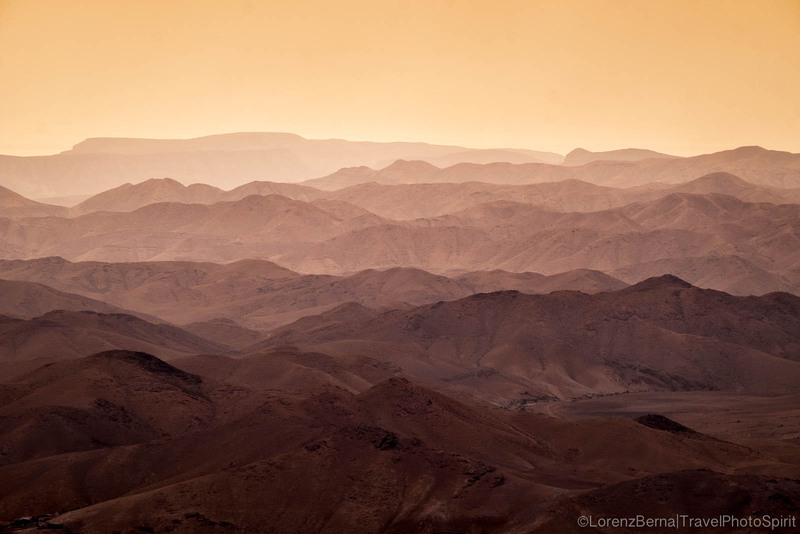 The meditative landscape of the Judean Desert at dawn.